Thin metal rods poke out of a giant trunk, spiralling up towards a wooden platform built 75 metres above the forest floor. 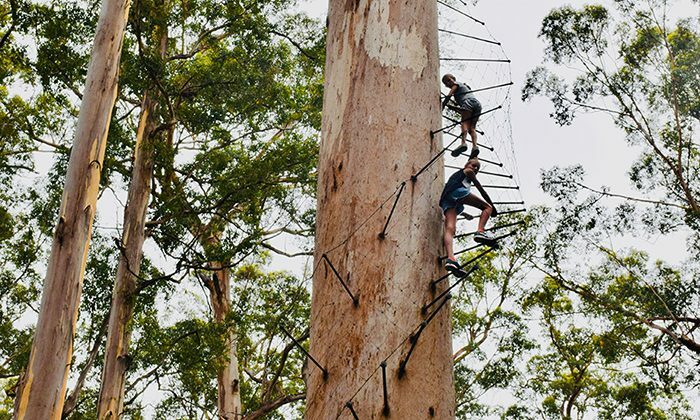 These karri trees are amongst the tallest hardwoods in the world, and the Dave Evans Bicentennial Tree is the tallest in Warren National Park. Once used as a fire lookout, today you can scamper up 165 thin poles to the knee-knocking viewing platform. It’s somewhat easier on the way down, when you don’t have to stare through wide gaps between the poles, and the very long drop to the ground below. You won’t find any waivers or ground support staff, just a helpful sign from the Department of Environment and Conservation advising sturdy footwear, no backpacks, and avoiding the climb if you have a heart condition, or fear of heights. Length of Trip : Factor at least a couple hours, depending on how much time you spend at the viewing platform. 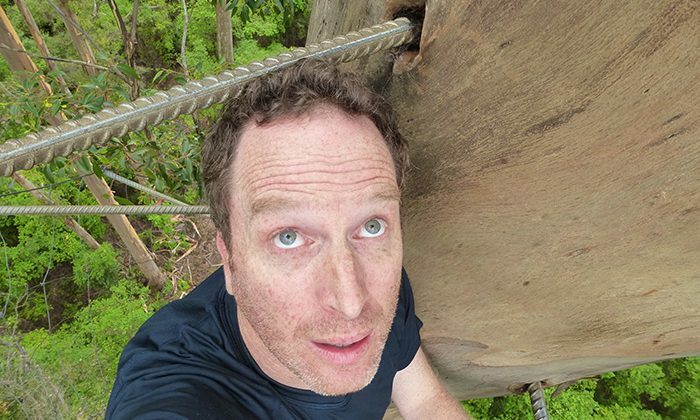 Cost : There is no charge to climb the tree, but you should only attempt it if you’re feeling particularly adventurous. Family friendly : Not for young kids, or nervous adults. Where to eat : If you like smoked meats and cheese, calm your nerves with a delicious platter at Holy Smoke in Pemberton. The fine and fresh Witchy Pies might also settle your stomach. Official Site : The Dave Evans Centennial Lookout Tree. 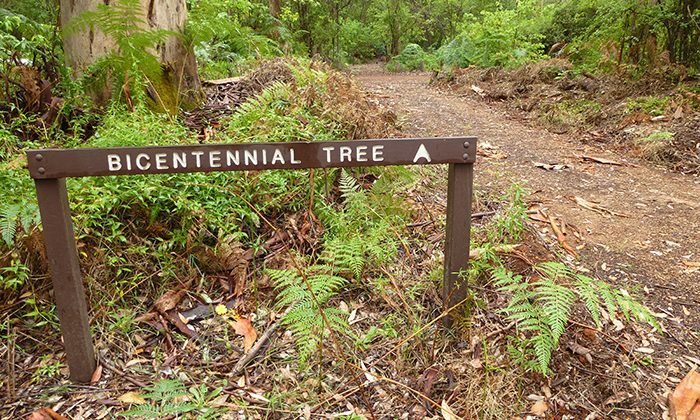 Getting There : Warren National Park and the Dave Evans Bicentennial Tree are accessible via the Old Vasse Road, about a 15-minute drive from the town of Pemberton. Pemberton is a 3hr 45 minute drive south from the city of Perth. Highway 1 traces the coastline with some gorgeous beaches to explore along along the way. 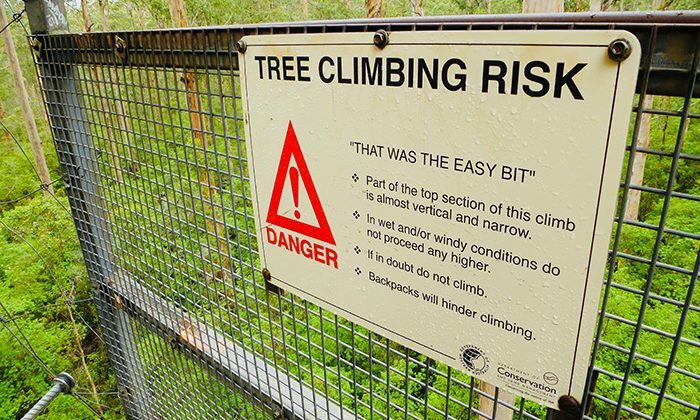 Note from Robin : There are two other famous fire lookouts you can climb in the area: the Gloucester Tree in Gloucester National Park and the Diamond Tree. Both are located a short drive from Pemberton, and form part of the 86km scenic Karri Forest Explorer Drive. 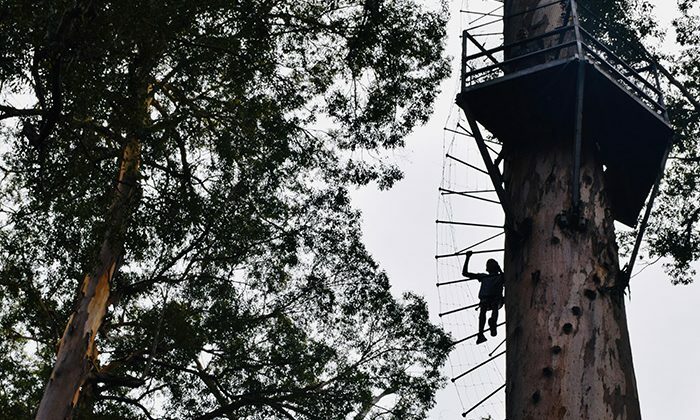 If you want to get high in the trees without the thrills, consider visiting the Valley of the Giants Tree Top Walk, an excellent and more genteel forest adventure located just outside of Denmark. Does the Dave Evans Centennial Tree belong on the Australian Bucket List?